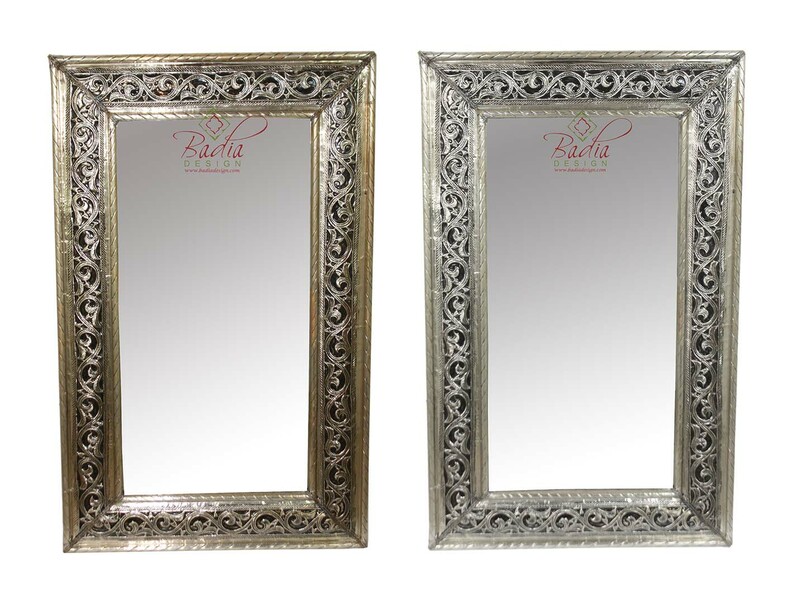 Moroccan Rectangular Shaped Metal Frame Mirror from Badia Design Inc.
Mirror comes in brass, silver and three different sizes. Please choose the design you want to purchase from above. Click the button below to add the Rectangular Shaped Metal Frame Mirror - M-EM008 to your wish list.